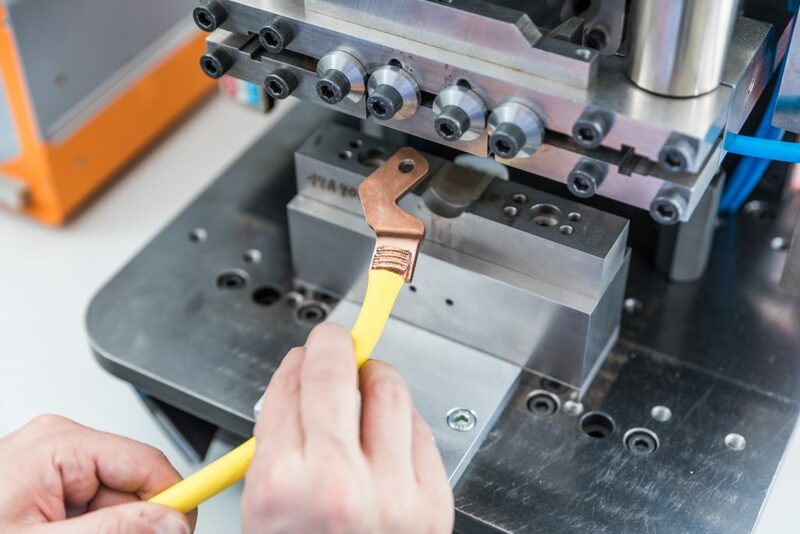 With resistance and ultrasonic welding technology, ideal electrical connections with individual geometrics for high-voltage (HV) e-mobility solutions can be manufactured. Our ultrasonic welding connections are reliable up to 70mm²! We can also manufacture fully automatically ultrasonic compactions with high process reliability. For the ultrasonic welding process, besides thermoplastics, non-ferrous metals such as copper, brass and their alloys are suitable.